…by cultivating the capacity to embrace all that moves through you. Dedicated Moms is a Holistic Wellness Program offered by Jaclyn Long, MFT. 4 weekly Mindful Moms Yoga classes each month power-packed with wisdom, poetry and guidance for you as a mom. 4 weekly Parent Support Sessions each month offering parenting wisdom so you can raise kind, caring & respectful kids. Ongoing Community, Support & Discussion in our private Dedicated Moms Discussion Group, which is priceless. Tools to Transform The Way You Feel Inside as we gently nurture your mind, body, heart and soul on your journey of motherhood every week. This motherhood thing is hard. Dedicating every ounce of yourself to your child’s well-being can leave you feeling drained, overwhelmed, and alone. And we all know that you can’t offer your best and deepest self to your kids when you are running on empty. It’s time to start investing in your child’s most important asset…yes…that’s YOU! Dedicated Moms will help you learn to ride the waves of stress and chaos with increasing grace and ease. 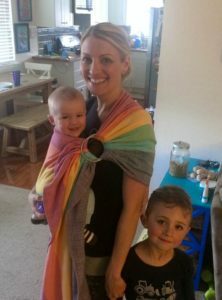 Jaclyn makes it so easy for you to develop a regular home practice, with Mindful Moms Yoga tailored to your unique needs as a mother. Jaclyn Long will be your loving guide on this journey. She’s also a yoga instructor, mindfulness teacher, parent educator and licensed Marriage & Family Therapist who knows just how imperative it is that you take time to invest in yourself…not only to maintain your own SANITY, but also for the benefit and good of your dear children. She’s the Founder & Director of Mind Body Moms, and she’s your loving guide through the Dedicated Moms online wellness program. To find out more about Jaclyn Long, CLICK HERE. As mothers, we give everything we have to nurturing our kids–and sometimes there’s not much left to nourish our own minds, bodies, and spirits. The motherhood journey has many twists and turns, and we can lose track of the people we were before we had children. “You work hard as a mom. You give every last ounce of energy to your kids. But you are tired of the tantrums. You are fed up with the fighting. You don’t know how much longer you can tolerate your demanding, ungrateful, high-needs kids. Your cup is dry. You are running on empty. You have forgotten how to replenish yourself. You have lost touch with what serves you. I am here to remind you. I am here to help you remember how to fill your own cup, for the benefit and good of your family…for the benefit and good of your kids. I am here to help you reconnect with yourself from the inside, from a place of tender loving care, so you can model good self care for your kids. I am here to empower you with mindfulness practices and parenting tools, so you can bring your best and deepest self to your kids. You are a mom. You’re doing the most important job in the world. Dedicated Moms is a way for you to get back in touch with your whole self, to find that quiet space where you can listen to what’s really going on emotionally, spiritually, and physically, and to renew your energy so you can continue nurturing your children with peaceful confidence. Our online learning community will equip you with the practical tools and inspiration to continually support and affirm the journey you’re on. The journey we’re ALL on: the journey of joyful, mindful living and compassionate parenthood. Unlike a regular yoga class at a studio, each Dedicated Moms yoga practice is tailor-made for moms. Power-packed with wisdom, poetry and guidance for moms, these classes will inspire and empower you as you navigate one of the most important jobs in the world! At the end of each yoga session, you’ll be guided through deep relaxation and mindfulness meditation practice to help you soothe and replenish yourself and bring your awareness to the present moment. Whew! And those are only SOME of the benefits! Your Dedicated Moms sessions also include creative arts exercises to help you tap your wellspring of creative energy. You’ll come away with a sense of peace and a calm, inspired, focused presence to offer to your kids. In addition to the weekly yoga practice, you’ll also have exclusive access to live parenting support sessions from Mind Body Moms founder, Jaclyn Long, as well as other parenting experts. Your questions about parenting throughout the week will be addressed and you’ll receive insights and empathetic advice on how to meet the biggest challenges we face as moms, so you can confidently raise kind, caring, respectful kids. Bringing mindful, moment-to-moment awareness to your relationship with your child through listening, acceptance, compassion, and self-regulation will help foster trust and openness, and reduce conflict. It might sound like stating the obvious, but let’s be real: Being a mom is HARD. There’s no way to anticipate the magnitude of transformation women undergo, both physically and emotionally, when we have children. With each child we have, we are born anew. And we can be just as vulnerable as the tiny people we’re raising. And if you have the time or resources, there are experts everywhere that can help you meet those challenges, from yoga instructors to therapists to parenting educators. But you know what? Most of these folks ask that you leave the house to meet with them. And if you’re a mom of a young infant or toddler, just leaving the house is a major undertaking. Jaclyn Long totally gets this problem. She’s also a yoga instructor, parent educator and licensed family therapist who knows just how imperative it is that you take time to invest in yourself…not only to maintain your own SANITY, but also for the benefit and good of your dear children. …all from the comfort of your own home. Because even when you feel isolated, you aren’t alone. And we’re here for you when you need to find your way back to the amazing woman and mother you truly are. Ready to Begin Your Dedicated Moms Journey? Buy this for a Friend / Spouse! Cancel at any time by emailing support@mindbodymoms.com or by submitting our online cancellation form. Please note that we do not pro-rate or offer refunds, although you can transfer your subscription to another mother if you paid the yearly fee. Is There a Facebook Group For Dedicated Moms? Yes – we have a closed Facebook group. When you become a Dedicated Mom, you will have immediate access to a loving community of wise and caring moms who are dedicated to their children, and thus dedicated to practicing regular self-care. These moms also feel a strong sense of responsibility for all moms – so they will be here to support you, when you join our community and reach out for support! Do I Get One-On-One Support? We will make sure you get your parenting questions answered. Sometimes, your question will be the only question addressed on any given week, so you will have lots of focused attention. We will also encourage you to meet regularly with a Listening Partner, so you can get lots of listening support from another member of the community. If you need additional one-on-one support, we have certified Parent Educators, Marriage & Family Therapists and several other professionals in our resource list that we are more than happy to refer you to. We want to make sure you have the support you need on your incredibly important journey through motherhood! How Do I Ask Questions for the Parenting Support Session? You can post your questions directly on Facebook at any time. Just make sure to write “QUESTION” or “ADVICE NEEDED” at the beginning of your posts. If you have a more in-depth question, or if you want your question to be anonymous, you can email your question to support@mindbodymoms.com. Our lovely staff will make sure that Jaclyn gets your questions answered in the next Parenting Support session! How Much Does Dedicated Moms Cost? Not as much as you’d think, considering all that’s offered. You’ll have weekly Mindful Moms Yoga classes and weekly Parenting Support Sessions led by master teacher Jaclyn Long, who has been teaching yoga and mindfulness since 2001 and who is a certified Parent Educator and Marriage & Family Therapist. You’ll also have a vibrant community of wise and caring moms who are dedicated to raising their children consciously, which is priceless! Jaclyn’s in-person groups in the Bay Area are completely full, and so is her private practice. The only way to have contact with Jaclyn now is to join this Dedicated Moms program or attend one of her international retreats. While she charges $140 per 50 minute session in her private practice, you can ask her any parenting questions when you are a part of Dedicated Moms – as often as you’d like! And she will not only address your question, but she will help tap the wisdom of the other moms in the community as well! If you were to register for in-person weekly yoga classes and private parenting education sessions with Jaclyn, it would cost $720 per month. We are delighted to offer our Dedicated Moms online program for about $12 per week, at just $49 per month! That’s about 93% savings off of her in-person private sessions and moms groups! You probably spend at least $25 each week on your kids for a half an hour – for swim class or music class. You can spend $12 per week on yourself for TWO HOURS of nurturing support and guidance for you — as a MOM! We feel so blessed to be offering this incredible online program to you at such a reasonable rate. There is no other program we know of that offers Mindful Yoga for Moms AND Parent Education from a certified Yoga Teacher, certified Parent Educator and a licensed Marriage & Family Therapist. You won’t find an online program like this anywhere else! You can do this for yourself! This is an investment – an investment in one of the most IMPORTANT people in your child’s life…YOU! Their MOM!! If you can’t give yourself this gift of support, give your CHILD the gift of having a mom who is well supported! I am a beginner – or feel like a beginner – because I haven’t practiced yoga since before I had kids. Will the yoga be too hard for me? Jaclyn Long LOVES working with beginners. Her classes are very gentle and inward, helping you tune into your dear body and honor its needs. She regularly encourages you to honor your body – above your ego – whenever possible. She also encourages you to follow the divine intelligence of your body above and beyond her instructions at all times, so you are truly listening and responding to your body’s cues. If you are concerned that the yoga class will be too hard, please let us know, and we will email you a sample Mindful Moms Yoga class. Email us at support@mindbodymoms.com today! When Are The Mindful Moms Yoga & Parenting Support Sessions? All sessions will be recorded and stored in our membership area so you can access the material at a time that is most convenient for you. Maybe you’ll choose a Saturday morning when you your partner can watch the kids, or a Monday evening, to start the week off right. Or, you might choose to develop a daily practice, and take the yoga class of the week every day! Unlike a regular yoga class, you have so much freedom and flexibility. You get to set the schedule! We encourage you to set a time each week – mark it on your calendar as YOUR time – at a time that is most convenient for YOU to practice Mindful Moms Yoga and listen to the Parenting Support sessions. The important part is to actually CARVE OUT that time for yourself and put it on your calendar, just like you put in music or swim class for your kids! And we will be here to continually encourage you to do just that! During the Parent Support Sessions, Jaclyn Long provides simple, elegant, and soulful solutions to challenges of motherhood. She shares parenting wisdom in an embodied manner, often bringing her voice, facial expressions and even her body into the process as she demonstrates different ways to respond to kids. She also takes time to respond to your parenting questions from the week. 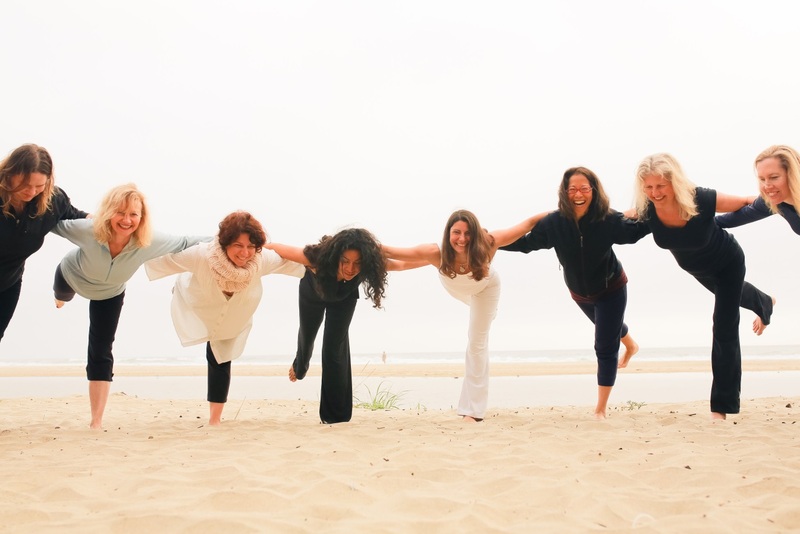 The Mindful Moms Yoga – 10:30am PST on Wednesdays. During Mindful Moms Yoga, Jaclyn Long will lead you through gentle, mindfulness-based yoga sequences, incorporating hatha yoga, gentle vinyasa, yin yoga, restorative yoga, yoga nidra (systematic deep relaxation), breathing practices and mindfulness meditation. Power-packed with inspirational themes on mindful motherhood, Jaclyn reads poetry and shares insightful quotes to empower you on the journey of motherhood. What Stage of Motherhood Does Dedicated Moms Serve? All stages – from pregnancy all the way through to empty nesters! We have mothers in our online program who are pregnant, have newborns, toddlers, teens, and young adult children. Jaclyn Long shares information that can help all mothers – no matter what stage of motherhood you are in. The breadth of ages and stages creates a rich and multifaceted learning AND sharing environment – and is unlike other local moms groups, which tend to focus on young children only. Supported By a Circle of Dedicated Moms? 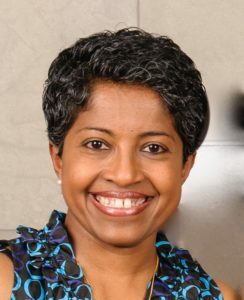 Each time you let a friend know about our Dedicated Moms program – even if they don’t end up enrolling – you enter a chance to win a special book of poems by mindfulness poet Kaveri Patel, PLUS a $1,000 discount on our next international yoga retreat! Refer your mama friends today!